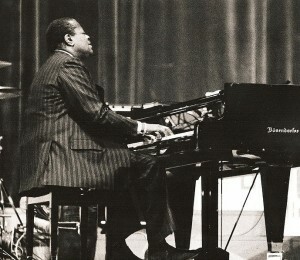 Peterson was a master of the piano and watching this great hulk of man with his fingers flying across the keyboard with such effortlessness had a certain kind of magic that I’ve never forgotten. The way his improvised solos, especially, sounded like they were carefully crafted note-by-note by some masterful composer got me thinking that perhaps that’s what jazz “is”. It’s both being present in the moment and transcending the here and now with the timeless elements of a great song. On “I Loves You Porgy”, there are moments of pure virtuosity, but more than anything, it’s the quiet, reverent approach that makes the song transcendent. I leave you with that to chew on the next time you’re sitting in some dark club, pondering the philosophical nature of whatever avant-garde, electro-fusion outfit happens to be on the stage.